Thanks to unseasonably mild weather, this morning I was able to harvest some dye materials that were buried under snow this time last year. So I chopped mullein leaves during the football game and got them soaking. 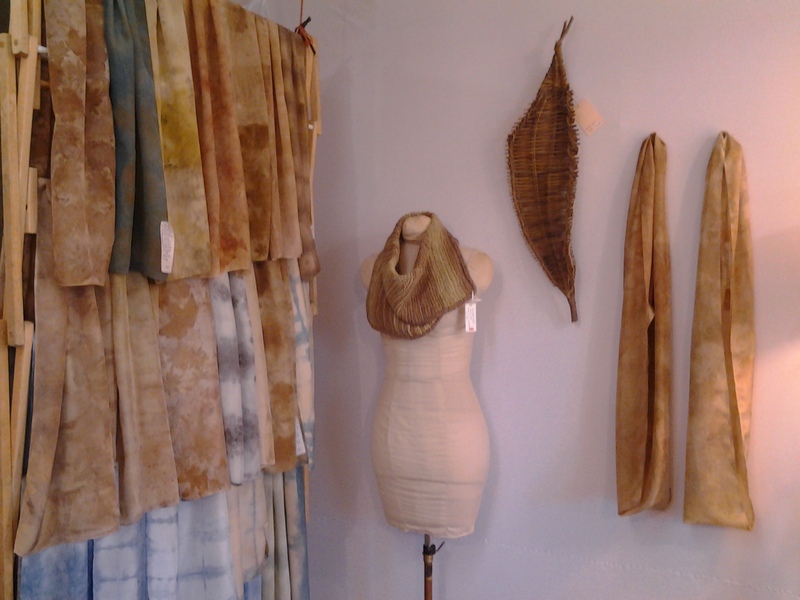 Tomorrow my unnaturally tidy studio goes back into dye mode. 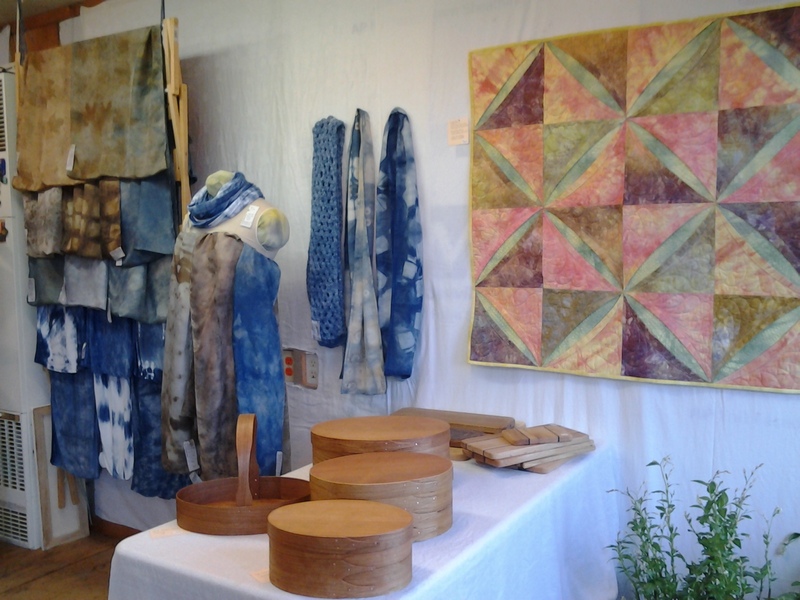 It did look pretty good for our annual studio sale on Saturday, as long as you didn’t peek behind the screen. While dye pots start heating up tomorrow, I need to photograph some things I’ll be adding to my Etsy shop. While I’m doing that, I can be brewing dyebaths. 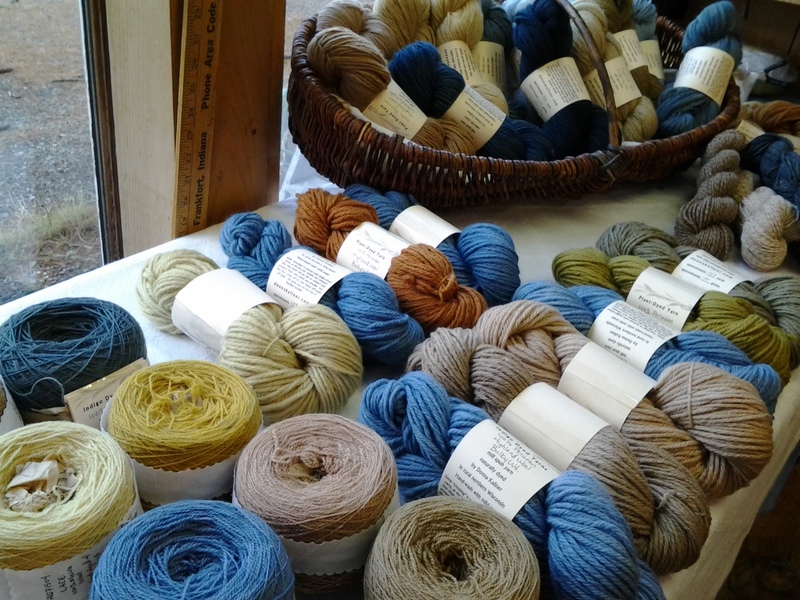 Yarn sold well on Saturday, so I’m glad to be able to replenish my inventory with fresh materials. There’s mullein in the freezer, for dyeing another day when there’s snow covering the clearcut where I harvested today. The studio sale went well and we so enjoy having a chance to visit with people, but Bill and I were pooped Saturday night. A hike back to the mullein was just what we needed. 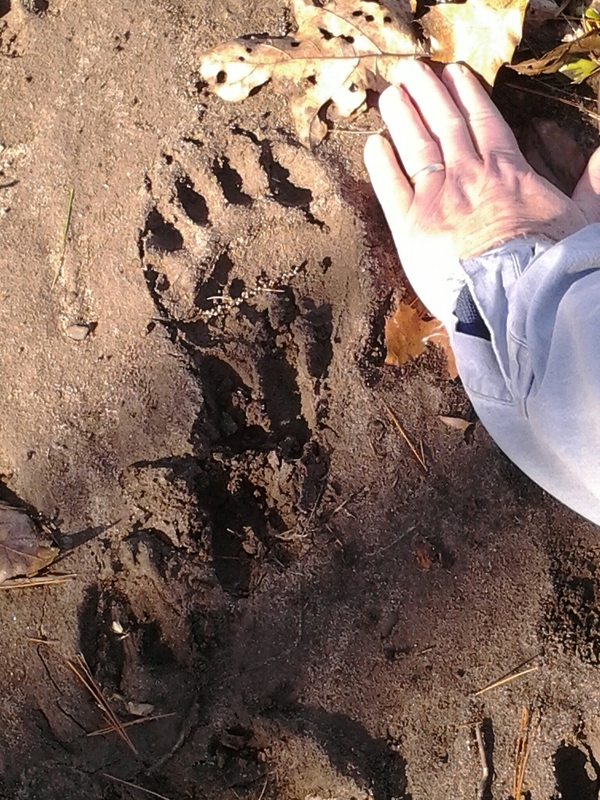 And on the way back we saw a really good bear track. Did I mention it’s been unseasonably warm? Is it possible to leave silk in a cold pack with copper wire too long? After 3 weeks (I forgot about it), my silk scarf turned a lovely yellow green, but the copper wire ‘ate’ thru the fabric. Was pure vinegar too much with the copper? Please advise.:? I’m betting it wasn’t covered with vinegar and it ate through the silk where it was exposed to air? I’ve held cold bundles that long without a problem but make sure they’re covered with the liquid and no holes in the bag. I have had copper eat through the fabric in less time when there’s exposure like opening the bag to peek or from a pinhole in the bag. Good luck on your next one!